We want to create an institution, that would initially just be an office for the instruction and coordination of some documentary film works. Ultimately a (the) national library of images. Producing materials to investigate the present, which will be the future past. This institution should collect, or more precisely safeguard existing things and produce, more precisely initiate things that do not exist. These lines open a text Harun Farocki wrote in 1976, in which he argues for creating a publicly accessible library of documentary images. The text has been made available to me as a scan of a hectographed document stapled together in the upper left-hand corner. From one page to another, one sees the paper creasing around the staple, looking vulnerable and ephemeral. Now this piece of paper has come to be the closest thing we have to a manual for the foundation of a Harun Farocki Institute, which would not only take care of the afterlife of his many films and video installations but also safeguard this other text like it. In the aftermath of Harun’s unexpected and tragic passing in July this past year, such effort will be necessary. This endeavor would also include a much-needed systematic and complete edition of his prolific writing, always wonderful, at times mordant and sharp. 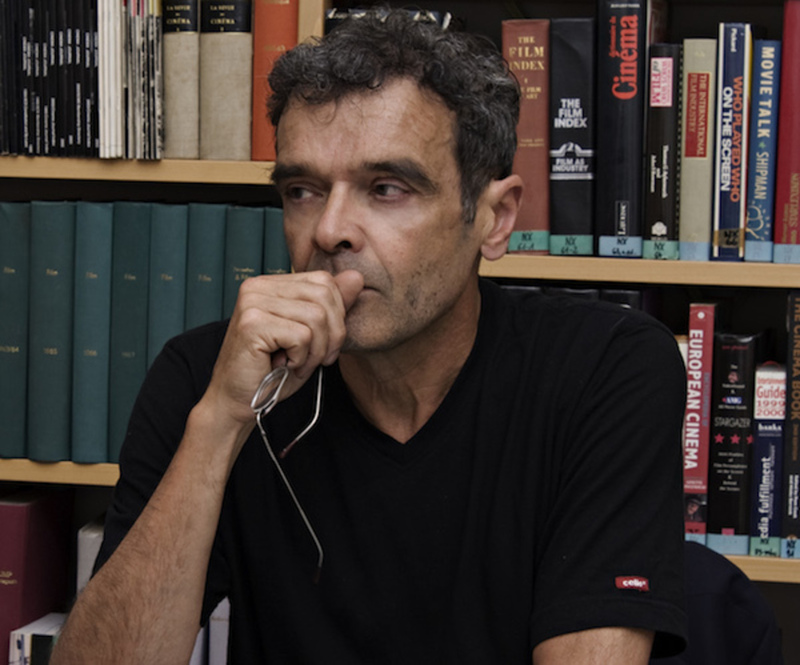 Harun’s family and a circle of friends and collaborators have begun the vast and demanding task of creating the Harun Farocki Institute to continue Harun’s project of instigating images that render a presumably known world into something that needs to be explored as strange and alien territory. Hito Steyerl is a filmmaker, writer, and artist who teaches at the Berlin University of the Arts. See also the February print issue of Artforum for more on Harun Farocki.